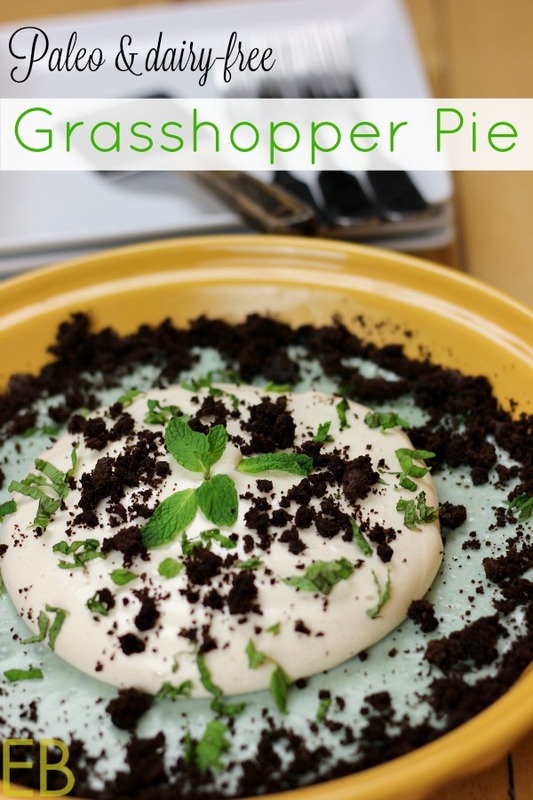 Paleo Grasshopper Pie. It’s good. 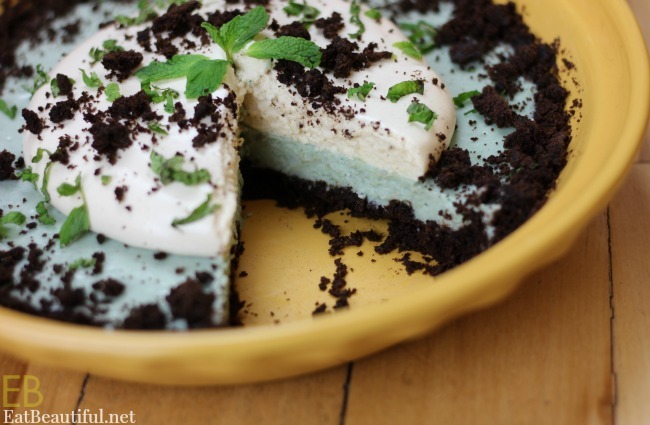 Have you had the original version, made with creme de menthe? Not surprisingly, that version was likely developed in the 1950’s and contains dye from the green alcohol, not to mention many other -ahem- unnatural ingredients. This nutrient-dense, dairy-free version makes me smile: containing collagen, coconut butter, cocoa butter and spirulina. The crust is made with cocoa powder and cassava flour — a new grain-free favorite! (Find it HERE.) The pie crust is actually made from a batter (instead of a dough), which makes the crust process really easy … and the batter also makes amazing cookies. In fact, you’ll see: Cookies are how this crust is made! 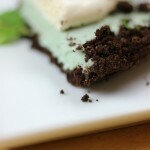 Top Grasshopper Pie with my Paleo/GAPS (Peppermint) Meringue, if you like! I can’t believe how easy and quick this new variation on meringue is to make, not a pain in the neck at all: The meringue only takes two egg whites, no candy thermometer, half the sweetener of most meringue recipes (can be made with honey, maple syrup or a combination of both), and it’s a wonderful way to do the creamy topping thing without venturing into dairy! And, it’s so pretty! Or top the pie with whipped cream, if you are a dairy lover. 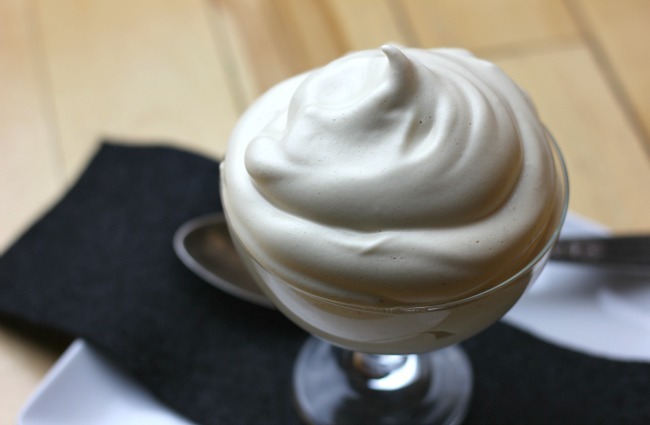 If you follow the link here for making my less-sweetener Paleo/GAPS Meringue, see the second variation in Recipe notes: It has you folding the meringue into whipped cream. 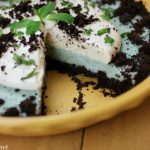 It’s my favorite option of all for those who can have dairy — creamy, fluffy, not too sweet and oh, the mouth-feel! 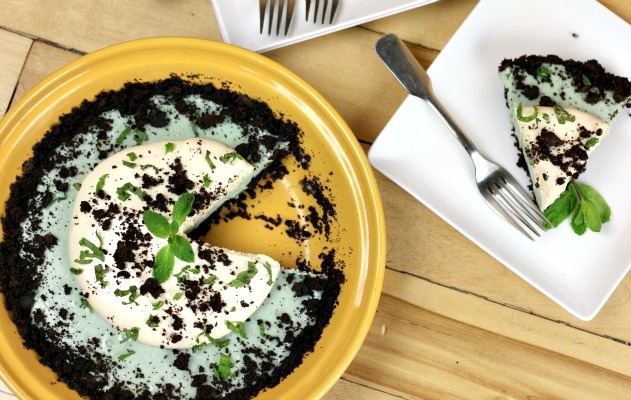 Either way, or without the topping, enjoy this lovely pie! Preheat oven to 350 degrees Fahrenheit. Grease a pie plate with preferred fat: melted cocoa butter, coconut oil, avocado oil, lard, or tallow. Set aside. Combine cassava flour and baking soda in a small bowl. Set aside. Place the following ingredients into high powered blender in the order they are listed: egg, oil, maple syrup, vanilla, sea salt and cocoa. Blend until thoroughly combined, about 20 seconds. Add cassava mixture and blend again just until thoroughly mixed. Do not over-blend. If needed, use a spatula to fold in any flour that remains unmixed. Using a one ounce scoop, scoop 3 cookies onto a cookie sheet. Bake for about 8 minutes until puffed and slightly cracked all over. Remove from oven and set aside. After placing cookies into oven, scrape all remaining crust batter into base of greased pie plate. Spread batter just over the BOTTOM surface of the plate, up TO the edges, NOT up the sides, leaving the sides bare (for now). Bake pie crust until it's puffed all over, about 15 minutes. When pie plate has cooled, grease the sides about 1 inch up from the base with any leftover melted cocoa butter (from the filling) or the grease you used earlier, using your finger tips. Place the following ingredients into high powered blender: coconut cream, coconut butter, sweetener, collagen and peppermint extract. Pour into prepared cookie crust. Set in freezer for 1 hour; then transfer to fridge for 2-3 hours, until set through to the middle. 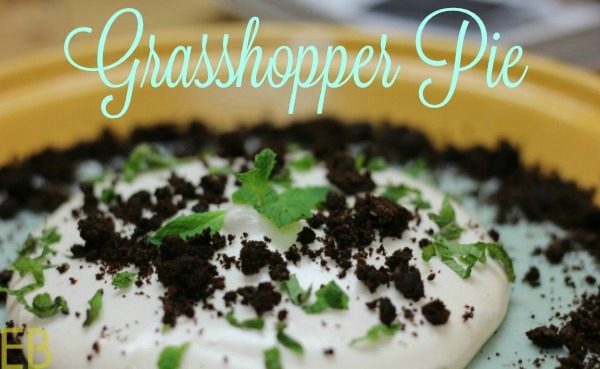 Garnish with optional meringue or whipped cream. Here's the spirulina I recommend. 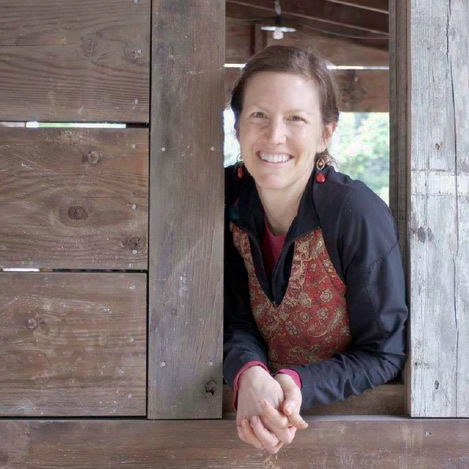 Here's the best sustainable collagen. Not only grass-fed, I love that they test for pesticide residue. Oh my goodness this looks amazing!!! I’m so bummed I just used the last of my Otto’s, I’m going to have to order more so I can make this. Wow, wow, wow, such a beautiful + fun dessert. My family would love this. Can’t wait to make it! My mouth is watering! I love those flavors! What a great recipe! This sounds amazing! Pinned and yummed 🙂 On the list for the next time I need to make a special treat! Oh yumm! This looks so good! You have the best recipes. Thank you, Jess; sooo kind!! This looks just amazing Megan! Love the color and your creativity! I’m floored. This looks too decadent for words!